Имате въпрос към Millennium Resort Hangzhou? Millennium Resort Hangzhou е благоприятно място за почивка и отмора след напрегнат ден, добре разположен в култура, романтика, разглеждане на забележителности зона на град Ханджоу. Само на 10 KM от градския център- това стратегическото местоположение на хотела гарантира на гостите си бърз и лесен начин за достигане до интересуващите ги точки на града. С удобното си местоположение хотелът предлага лесен достъп до всички градски забележителности, които задължително трябва да се видят. Millennium Resort Hangzhou също така предлага много съоръжения за обогатяване на Вашия престой в Ханджоу. За удобството и комфорта на гостите хотелът осигурява 24-часов рум-сервиз, безплатен WiFi достъп във всички стаи, станция за зареждане на електрически коли, 24-часова рецепция, съоръжения за инвалиди. Хотелът се характеризира с 151 стилно обзаведени стаи за гости, в някои от които ще намерите телевизор с плосък екран, достъп до интернет (безжичен), безжичен интернет достъп (безплатен), стаи за непушачи, климатик. Независимо от това, дали сте фен на фитнеса или просто търсите начин да отпочинете след уморителен работен ден, в хотела ще намерите най-висококачествените съоръжения, такива като фитнес зала, сауна, закрит басейн, спа, масаж. Насладете се на несравнимото качество на услугите и престижното местоположение на Millennium Resort Hangzhou. New rooms, friendly staff, away from the crowds and in the middle or a misty forest where you hear the birds sing. That's pretty much what Millenium is. 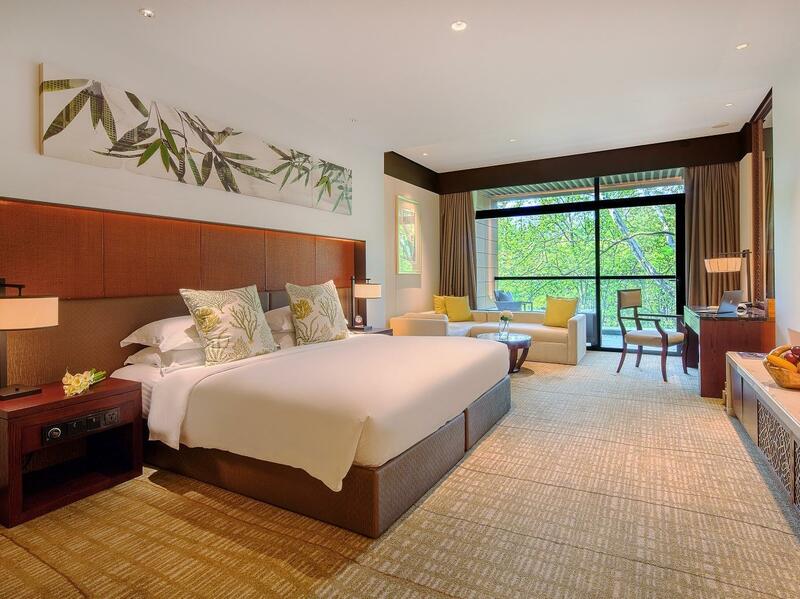 Peaceful, restful and still within a short drive of the West lake and the city. My daughter likes the talking bird in the lobby. In-door swimming pool is good. Near to "Song City" theme park. Abit far from the city. Cannot go to the mountain and jiuxi due to rain. Will try next time. Hotel location was right in the backyard of Jiuxi, easily accessible. Children loved the pool. Only had an all day dining option and the food quality was quite sad, so go out to eat if you can. Overall was a good experience. Nice hotel with great location, the environment is super, air is very fresh. I would like to thank Ms Taylor, who is friendly and considerate. Hotel should appreciate such a good staff like Taylor. The location is serene and secluded and the design and construction is modern, however, this place is really let down by the little details: smoking in the main lobby; bathtub taps didn't work at all; very messy presentation of breakfast (that was also very limited in its western style options); rented bikes all had brakes that basically didn't work which ended up being very dangerous when we took them out. Finally, the staff gave us completely false information about where we could leave our luggage in town after checking out. For the price, this sort of lack of attention to detail is woeful and it really undermines the quality of the hotel. For this price, you can definitely find better elsewhere. Wonderful resort for those keen to be surrounded by nature.The hotel is thoughtfully designed to blend into the forest and tea plantation that surrounds it, and the view from hotel room, lobby and restaurant are are mature trees and foliage. The hotel is made of 2 blocks, separated by a primary forest with trees about 7 stories tall. The hotel grounds is permeated with clean air aromated by the forest, and the quietness is accompanied by lovely birdsongs. 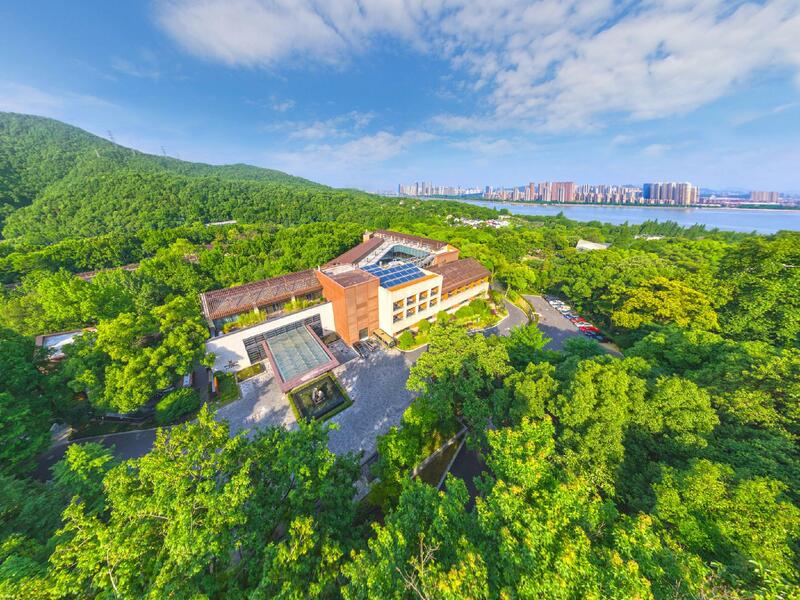 The back gate of the hotel directly into the Jiuxi Nature Reserve, and within minutes of strolling, one will enter an idyllic area with tea plantations, quiet paths alongside clear flowing streams. The 5-star hotel rooms are elegantly appointed and equipped with all required amenities, with a balcony and bath area offering a clear view of the forest. The resort is about 10 min drive from the hustle of city. There is only 1 restaurant in the resort, serving reasonable food. There are some local small restaurants and conveniences shops about 10-15 walk outside the hotel. It is a wonderful and idyllic resort for a "close-to-nature" rest and therapeutic stay. I booked two rooms (with king-size bed) for two nights and stayed at this hotel during the Ching Ming Festival. When I checked in, the hotel staff confirmed that I have booked two king-size bed rooms. But when we went inside the rooms, we found that's not the case (there are two beds inside instead). I then called the front desk and requested for a change of room. At first, she said that she changed one of the rooms for me. After a while, she changed to say that all king-size bed rooms have been fully booked and they were unable to accommodate my request. I got very upset that I made the special request to Agoda but why they were able to accoommodate the others' requests but not mine. She then said they were not told of such request from Agoda (I checked with Agoda which confirmed that they have passed the request to the hotel). I ended up having a very long argument with her. Her manager spoke to me with the same attitude (which basically made me feel that I was badly treated and didn't want to speak to any of the staff again). A few minutes later, the manager came up to my room and said that he can change my room provided that I admit that I have never requested a king-size bed and it's not their fault of not accomodating my request. I refused to admit that I made a mistake (which I didn't) and closed the door. The manager knocked my door for a long time and kept repeating the same message. The next day, I kept receiving calls from the hotel asking if I want to change room (which I didn't bother to change after staying there for one night)! It's an awful experience. I would never return to this hotel again. The quality of manager and staff is well below the expectations from a 5 star hotel. It's at a beautiful location, away from crowds, yet still handy to scenic spots, including Lingyin Temple surrounded by ancient Buddhist stone carvings, not to mention the numerous tea plantations along the way. The hotel is a rare find at this price range. Service is top class. The rooms are huge and beautifully set out. I can't recommend the Millenium Resort Hangzhou high Ly enough! This resort is situated in the middel of the tea plantations, super green and relaxing. The tempel and wrstlake are a short taxi ride away. The pool is perfect, especially when travelling with youngh children. The food could have been better and the staffs English is not too good either. Take a walk from the Nine Creaks towards Lionjiang village through the tea hills! Nice beautiful walk! Overall was ok. Front desk staffs are inexperience. Couldn't attend to my request. Everything is excellent except the worst tea set ! Also, the buffet dinner was not good too ! location was bit far from the city center, taxi doesn't want to drive us there, but the hotel itself was amazing, swimming pool was wonderful, breakfast was also great!